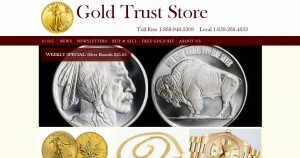 Gold Trust Store address, phone, website, hours of operation, and more. 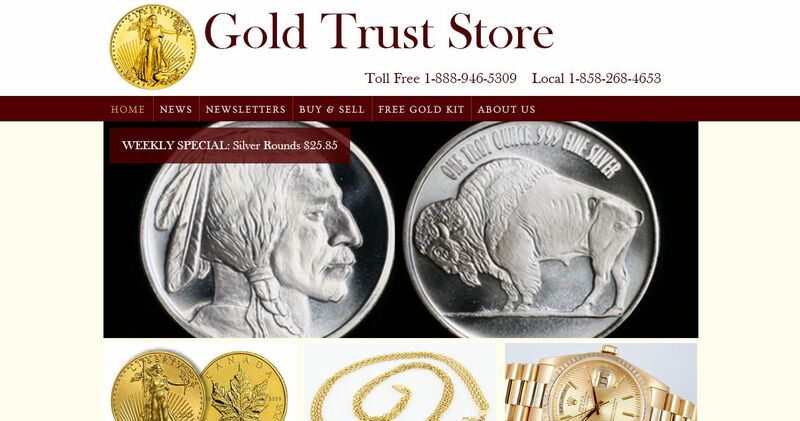 Gold Trust Store is a precious metals store that specializes in Gold, Silver, Platinum, and Palladium coins and bars. The owner, Ken Fabian, is a trustworthy and honest coin dealer, who has been in the precious metals industry for over 40 years. Gold Trust Store buys and sells all Gold, Silver, and Platinum coins, from American Eagles to Chinese Pandas. Find rare collectible currency at Gold Trust Store. If you have rare currency we will purchase it, as well. We can also help you transfer physical Gold and Silver to your IRA. Gold Trust Store takes pride in paying a competitive high price for Gold, Silver, and Platinum Jewelry and Silverware. Bring in any Gold, Silver, and Platinum items and receive cash immediately.